30 contact with the tooth side which minimizes the risk of the belt slipping. 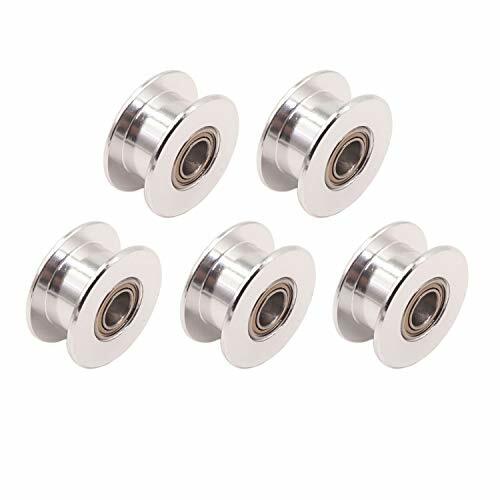 Timing pulley is made of high quality 7 series aluminum alloy, high hardness, anodized surface treatment, effective waterproof and rustproof, corrosion resistant, more beautiful and durable. The synchronous wheel works closely with the synchronous belt for more smoothly transition and more stable drive. 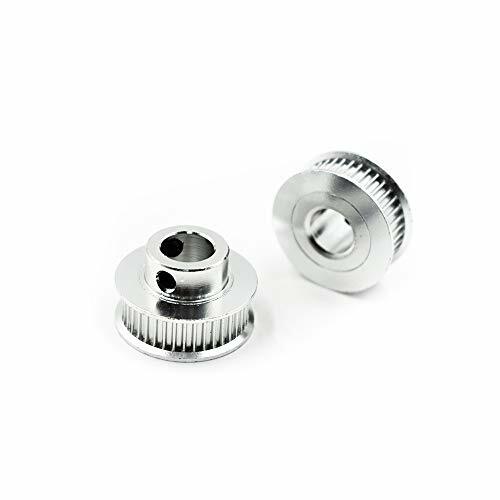 Be widely used in 3D printer, CNC, milling machine, gear forming machine, drilling machine, CNC machine tool lathe, hobbing machine or other mechanical transmission occasions. Overall Height: 16mm, Side Screw Mounting Hole: M4, 20 Teeth designed for minimizing the risk of belt slipping. Made from high quality 7075 aviation aluminum, high hardness, anodized surface treatment, effective waterproof and rustproof, corrosion resistant, more beautiful and durable. Works closely with the synchronous belt for more smoothly transition and more stable drive. Suitable for linear motion and positioning. 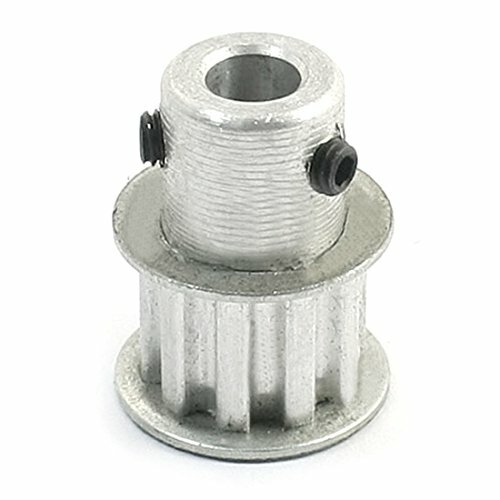 Be widely used in 3D printer, CNC, milling machine, gear forming machine, drilling machine, CNC machine tool lathe, hobbing machine or other mechanical transmission occasions. Made of high quality aluminum alloy, with fine workmanship, smooth surface, rust and corrosion resistant, sturdy and durable to use. Designed specifically for linear motion, round tooth profile guarantees that the belt tooth fits smoothly. 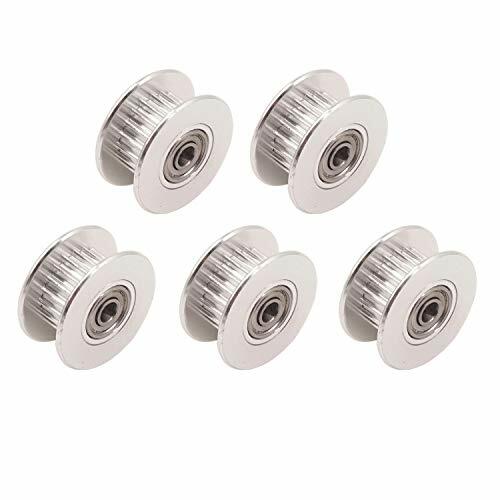 Fixed Mode: 2pcs Fastener screws for each pulley, which have already been screwed in the pulley, come with a mini wrench for convenient installation. 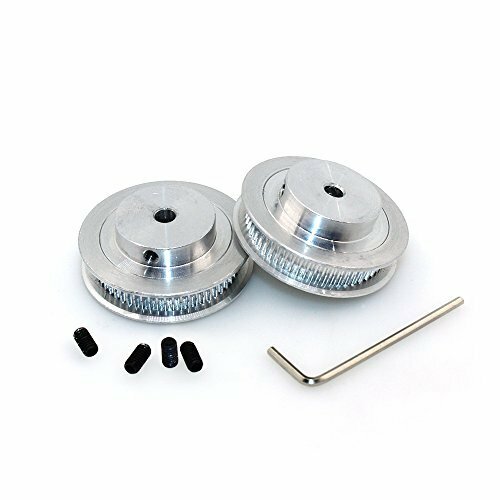 Application: Perfect choice for 3D printer or similar projects, suitable for 6mm width GT2 timing belt and 5mm shaft stepper motor. 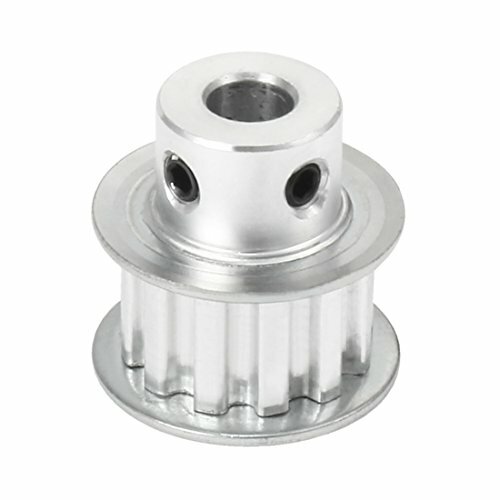 Material: High quality Aluminum Teeth Type: 20 Teeth Bore: 3mm NIdler Pulley bearings: Double Motor-grade bearings Suitable for 6mm Width Timing Belt --------------------------------------------------------------------------------------------------------------- Package include: 5 x Idler Pulley Product Warranty: -WINSINN are devoted to offer premium quality products to all cherished customers. Meanwhile supply 60 days money back guarantee and 24 months warranty. -If there are any questions, please feel free to contact us, WINSINN Customer Service Team will spare no efforts to assist with you within 24 hours. Used widely in milling machine, CNC engine lathe, gear Shaper, hobbling machine, drilling machine or other machinery transmission occasions. 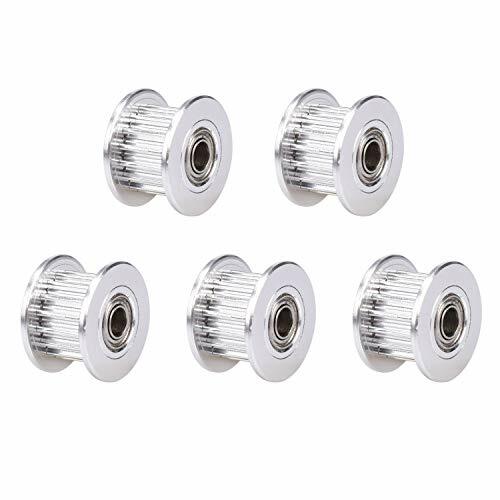 GT2 Synchronous Wheel, with Screw, Can be Fixed Material: High Quality Aluminum, Excellently Machined, Finished Smoothly Number of tooth: 20T Bore Diameter: 5mm For GT2 6mm Width Belt, Include Allen wrench, Easy to install --------------------------------------------------------------------------------------------------------------------- Package include: 5 x 20 Teeth 5mm Bore GT2 Synchronous Wheel 1 x Allen wrench --------------------------------------------------------------------------------------------------------------------- Product Warranty: -WINSINN are devoted to offer premium quality products to all cherished customers. Meanwhile supply 60 days money back guarantee and 24 months warranty. -If there are any questions, please feel free to contact us, WINSINN Customer Service Team will spare no efforts to assist with you within 24 hours. Bushing Design is much more convenient to install and disassemble. 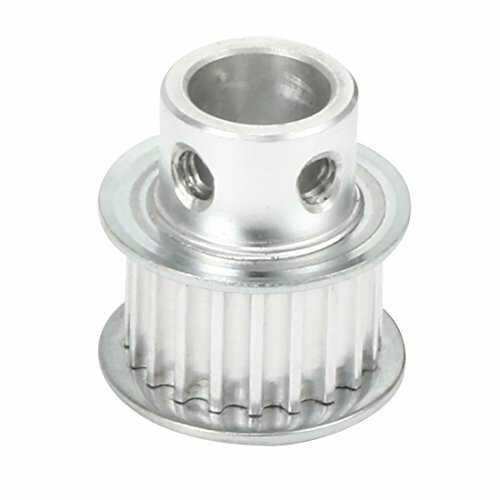 The pulley of the precise design and drive shaft will work together perfectly. Made by Houkr, make sure the "Houkr" label on the bag for our after-sales service. Others seller is fake, thanks! 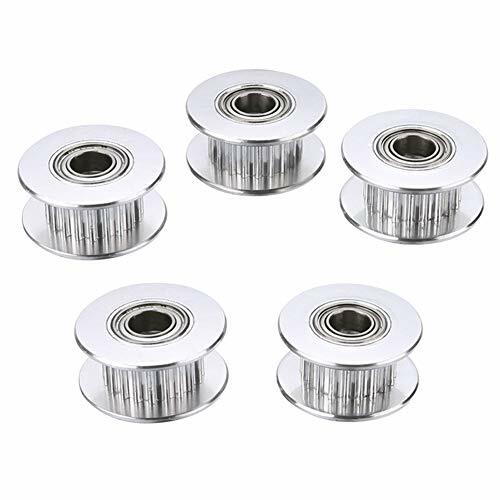 Durable and Virtually: Adopt high quality aluminum, Excellently machined, Finished smoothly and high accuracy positioning. 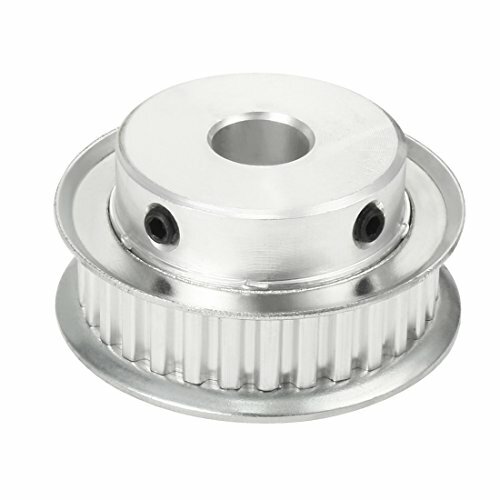 Size: 20T 5mm bore Aluminum GT2 6mm Timing Belt Pulley. 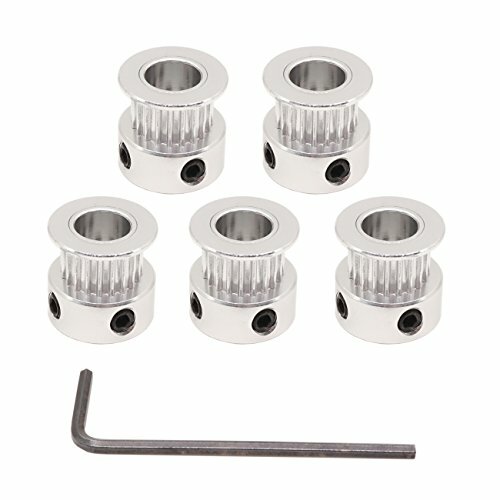 Package Inclued: 6pcs 2GT 20T Bore 5mm Timing Pulley + 1 xM4 Allen Key. 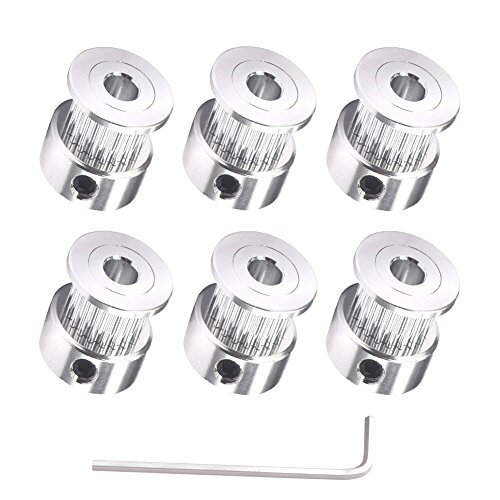 Screws: The screws are provided for each timing pulley and already have been screwed in the pulley. Applications: Widely used in milling machine, gear shaper, drilling machine, hobbing machine or other machinery transmission occasions. 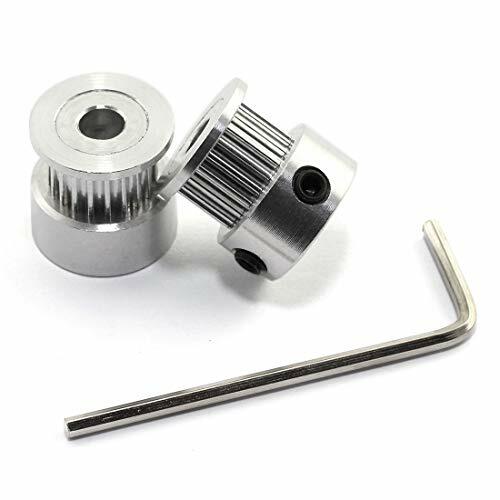 Perfect Choice for Building a Reprap 3D Printer Prusa Mendel CNC or Similar Projects. 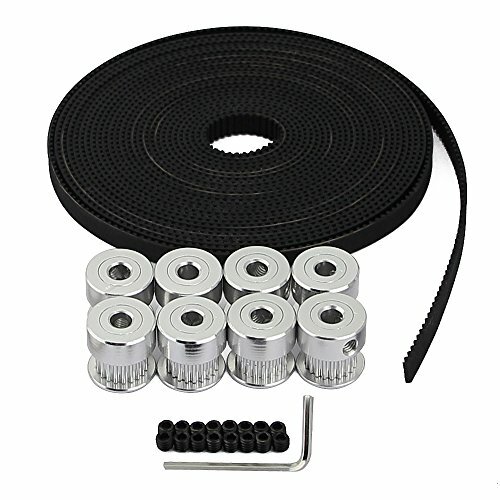 The timing belts and pulleys are popular choices for Reprap, Prusa, MendelMax,3D Printer. At least six teeth in contact with the pulley at a given time. This will reduce the possibility of sliding. 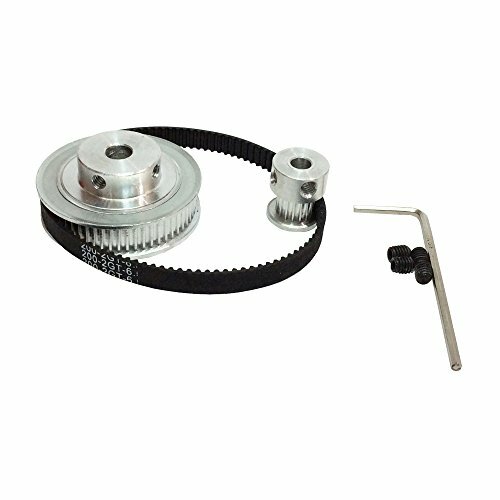 GT2 pulley and belt are used together, and the profile with rounded teeth, which ensures that the belt tooth smoothly and accurately into the pulley groove. 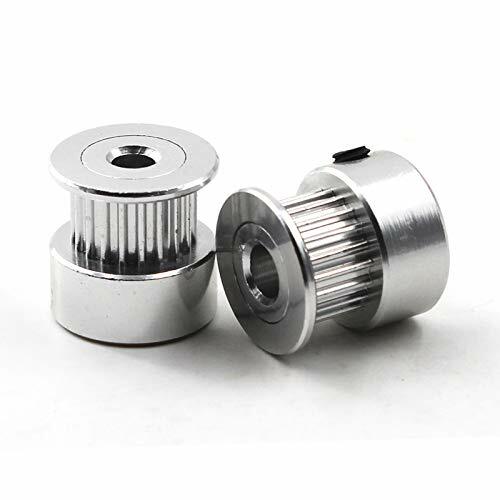 Anti-backlash timing belt pulley with 20 teeth is one of the best choices for 3d printer construction. 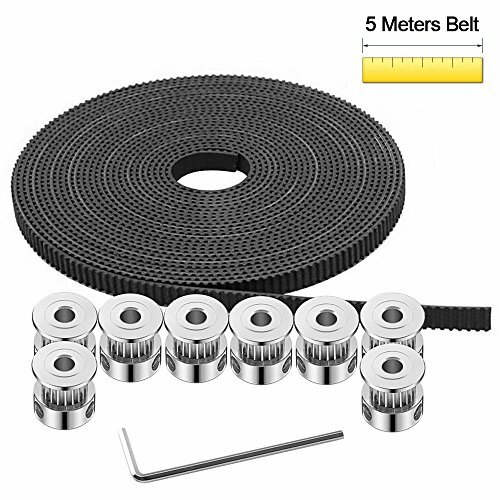 Package Listing Includes: 1pcs GT2 Timing Pulley 60 teeth * 1pcs 20 teeth * 1pcs GT2 Timing Belt * 200mm . 12 contact with the tooth side which minimizes the risk of the belt slipping.